Officials in Hong Kong became the latest to go after Uber when police raided one of the car-hailing service's offices there Tuesday. A handful of Uber employees were arrested and charged with illegally carrying passengers for a profit and driving without third-party insurance, according to a police statement. It was part of operation "Cellbreaker," which Hong Kong police say targets "illegal car hire" services. The raid comes after protests by Hong Kong taxi drivers in late July. A union that represents taxi drivers said revenues have dropped 20% since Uber moved into Hong Kong in August 2014. Uber is currently offered in 58 countries, though taxi drivers and authorities have resisted in some cities both in America and abroad. 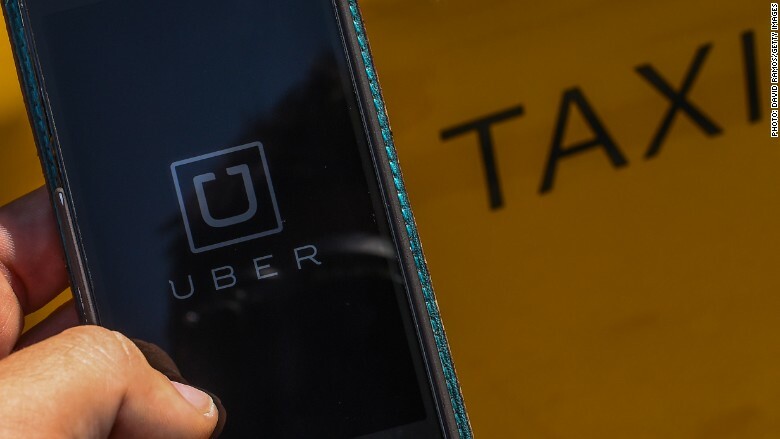 In May, Chinese authorities carried out a raid at an Uber office in Beijing. It charged Uber drivers weren't qualified to operate the ride-sharing business, according to Chinese media reports. Protests against the car service in France turned violent in June. It's been the target for authorities in Spain and India. In the U.S., Uber has battled laws aimed at its business in Portland, Oregon, San Francisco, Los Angeles and, most recently, New York. Uber has been largely successful in overcoming regulatory roadblocks, however. Just over two weeks ago, New York City backed down on its efforts to limit the number of cars on the city's streets. In a statement released after the Hong Kong raid Tuesday, Uber said it welcomes "the opportunity to work closely with authorities towards updated regulations that put the safety and and interest of riders and drivers first." The company declined further comment to CNN. Despite the opposition, Uber has plans to expand. It is valued at more than $51 billion, and the company said it wants to use that money to speed up growth in China and India. The company said in an August 5 press release that it hires hundreds of thousands of new drivers each month. --CNN's Cheiu Luu, Karen Chiu and Samira Said contributed to this report.